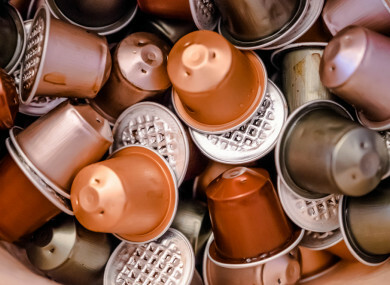 GARDAÍ WERE CALLED in to investigate the theft of €3,000 from a major government department after its ‘honesty box’ funds for Nespresso coffee pods disappeared from a filing cabinet. However investigators were unable to uncover who was behind the theft at the Department of Children and Youth Affairs, and no staff were disciplined or sacked over the incident. The theft also forced an overhaul of the department’s honesty-box procedures to prevent a repeat occurrence. An internal audit report said the money was first noticed missing from the ground floor of the department’s then offices for support staff on Mespil Rd in Dublin at the end of 2017. The funds were periodically pooled from €1 payments staff made for Nespresso coffee pods provided by the department. The pods were paid for out of the department’s budget on the condition that staff chipped in for personal use of coffee machines. While the honesty-box cash was supposed to be regularly transferred into the department’s bank account, no payments had been made between early May and when the theft was reported – more than seven months later. Department officials said it was impossible to work out exactly how much money had been stolen as there had been no regular counting of the funds, however it was estimated that €3,000 in cash had disappeared. The internal report noted that no one in the department appeared to have been given formal responsibility for looking after the cash, a fact that “the high turnover of staff … in 2016/17 may have contributed to”. The funds were also regularly dipped into by staff looking for change. Security arrangements were “not sufficient”, it added, as the key to the filing cabinet was kept in a staff member’s desk and everyone in the departmental unit knew where it was located. The cabinet also contained “official files and consequently (was) accessed regularly”, the report said. The department had around 240 staff across its entire operations at the time. Although the amount added to the honesty box was counted weekly, there were no running tallies of the total sum – which meant it was impossible to tell whether one or a series of thefts had occurred over an extended period of time. “Security was so weak that the theft may be by … members of staff or anybody with access to (the office). It may have occurred early or late in the evening or by an opportunist during the day,” the report said. Departmental staff had tried lodging cash at the bank in mid-August, but this attempt failed as the local branch had changed its opening hours and was closed when they arrived. No subsequent attempts were made to deposit the money, and the slip for the attempted lodgement also went missing with the funds. A spokesman for the Department said gardaí had investigated the theft and advised that “in the absence of relevant new information the investigation cannot be progressed any further at this time”. He added that no staff had been disciplined or dismissed as a result of the incident, however tightened internal controls for cash management meant that the chance of a repeat occurrence was “considered negligible”. These included the pooled money being kept in a locked cash box that was stored in a safe, with the funds overseen by a senior staff member. Email “Gardaí called in after €3,000 stolen from the Dept of Children's coffee 'honesty box'”. Feedback on “Gardaí called in after €3,000 stolen from the Dept of Children's coffee 'honesty box'”.